That’s right, gentlemen. 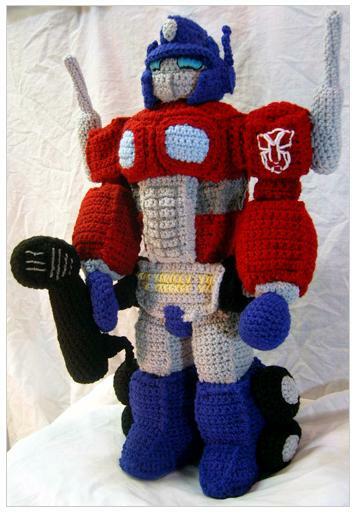 Tell your ladies this year instead of that same old hand-knit hat and scarf set for Christmas, you’d rather have a crocheted Optimus Prime. And yes, it’s for real. And no, I won’t be making one. But it’s up for the coolest toy award on Ravelry, and right now, I’m going to go try to vote for it 800 times.